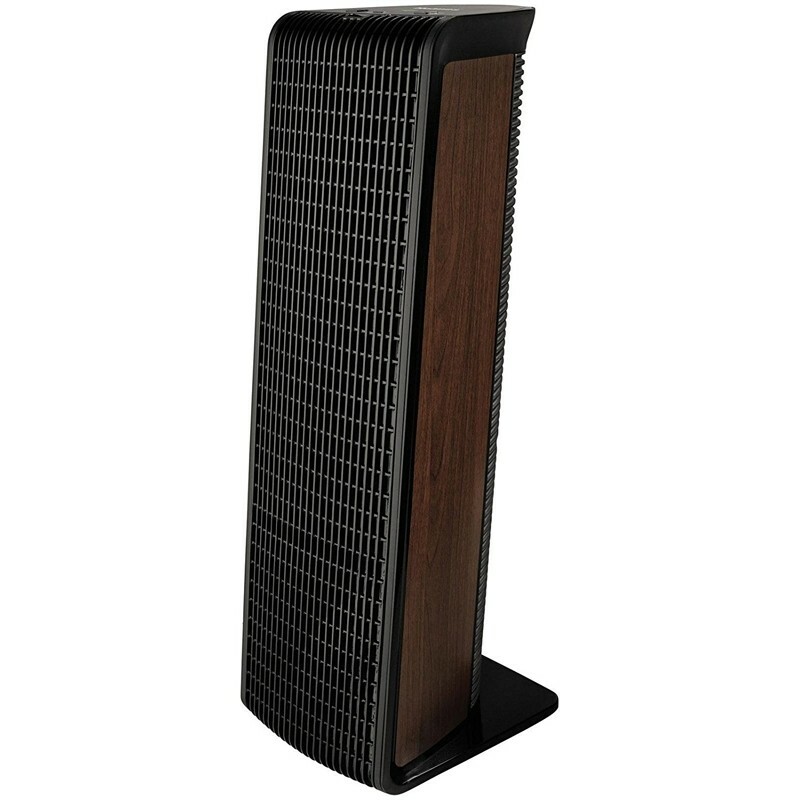 The Holmes Smart Air Purifier comes with a HEPA filtration system that is very good at ensuring the air that you breathe is free of any pollen or allergens that are very harmful. 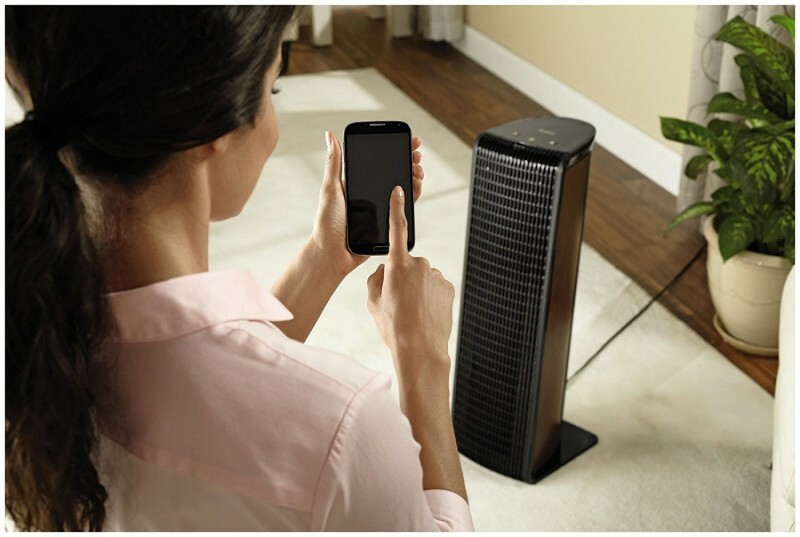 You will also love it that it sends you regular notifications when the air cleaner needs maintenance or when its filters need to be replaced. It also comes with the capacity to be preset to your preferred settings for up to seven days. However, one major issue is its WeMo app which is very difficult to use. It does not make noise when working. You can pre-set it to your preferred settings for up to seven days at a time. It does not take up much space thanks to its small dimensions and it is also lightweight. 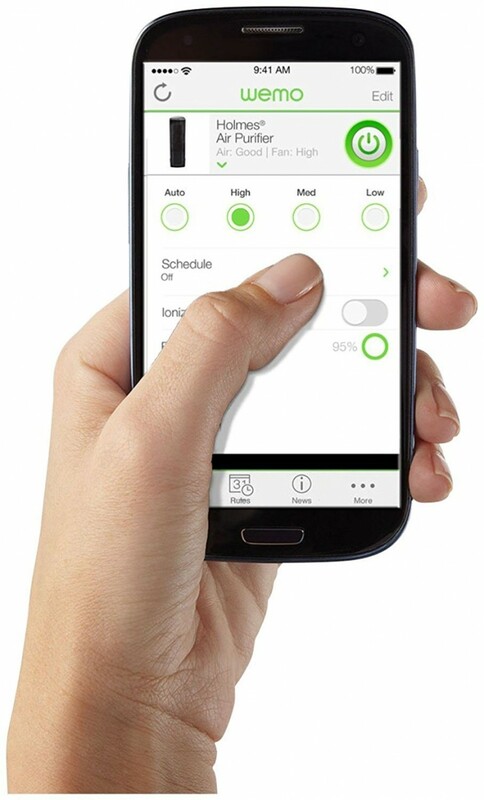 You can control it remotely from your phone using the WeMo app. Its filtration system allows it to filter out pollen, dust, mold and pet dander. You will get notifications every time the filters need to be changed or when it needs maintenance. 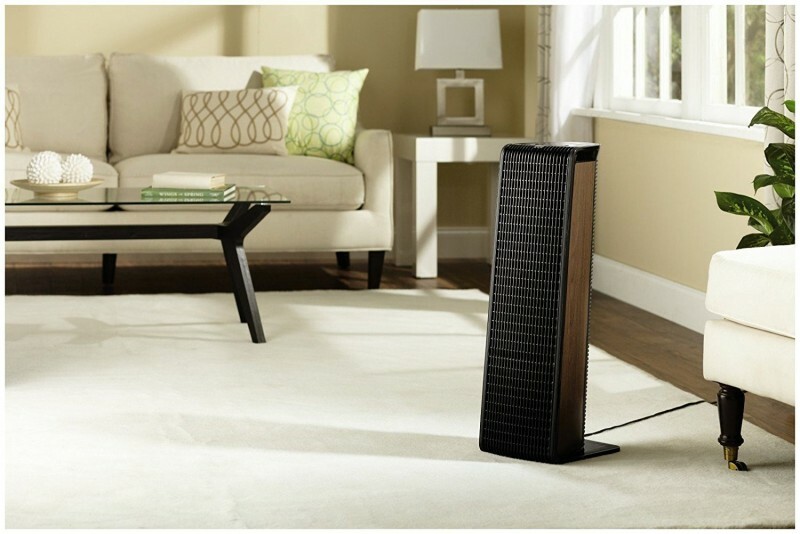 It comes in a sleek design and can easily pass off as one of your furniture. Its application is very difficult to use.